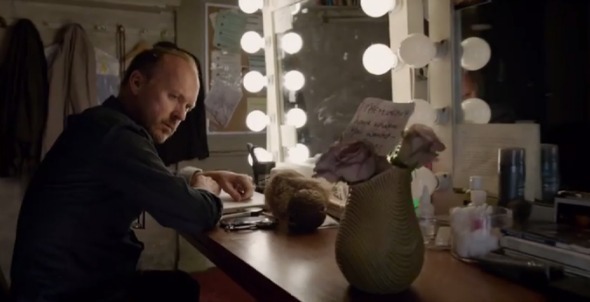 In honor of Birdman, we’re going to do the whole #Oscars broadcast in one continuous shot. How did he do it? Performances, cinematography, editing and Rodeo FX’s invisible visual effects. 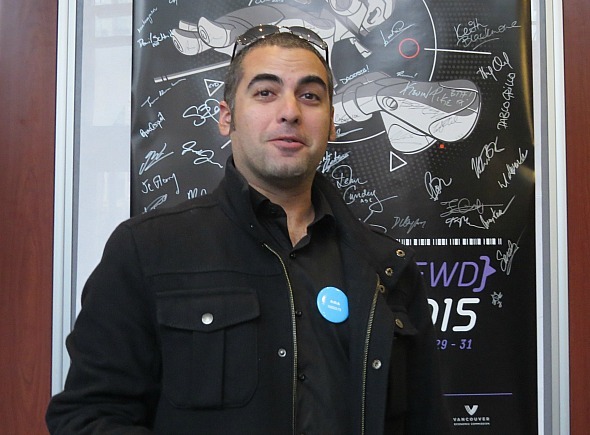 More than 75 artists at the Montreal VFX house spent four months stitching together performances, camera setups and locations to make Birdman’s one seamless and photo real take, VFX superviser Ara Khanikian told the crowd at SPARK FWD 2015 last weekend. 100 stitches. On average, five or six shots were stitched together. 90% of the film went through the Rodeo pipeline. With only 32 days to shoot his movie about a washed-up movie super hero mounting a comeback Broadway production, director Alejandro Iñárritu mapped out the shots with cinematographer Emmanuel Lubezki and had cast do a lot of rehearsals since takes would be long, lasting 8 to 12 minutes. Everybody had to hit their cues because the shots required meticulous timing. For a scene of former movie superhero Riggan Thomson (Michael Keaton) looking in his Broadway dressing room mirror, Rodeo had to remove two different camera crews from the shots and then matte paint the background recreating dirt, scratches and other imperfections on the mirror. For a scene of method actor Mike Shiner (Edward Norton) in bed with first-time Broadway actor Lesley (Naomi Watts), Rodeo blended four or five of the best performance takes of Norton and Watts using the sheets to morph between them. At another point in the movie, Rodeo used a face slap to morph between actor performances. A hospital scene lasting 8 minutes in the movie meant Rodeo had to work on 11,000 frames versus the more typical VFX order of 150 frames. Plus director Alejandro Iñárritu loves rhythm and pacing, so everything had to be synched to the tempo of a drum score even when the audience doesn’t hear it. Everything and everyone in the movie follows that beat. “I’m surprised I survived,” joked Ara Khanikian of Birdman, especially the shot management. 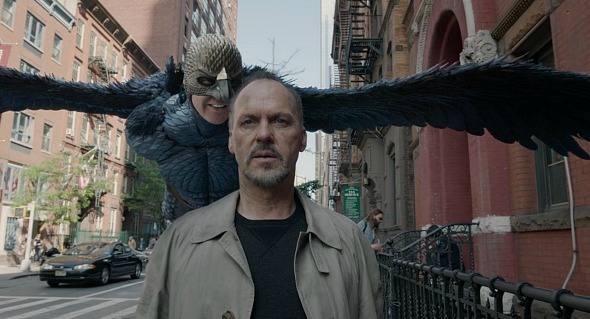 Perhaps it was a relief for Rodeo to do more conventional VFX work like the Birdman destruction and flying sequences. Khanikian told SPARK 2015 he went to New York where they shot all the background plates with a camera crane on a truck then stitched together 16 different elements. Michael Keaton was shot flying on wires against a green screen in Montreal. All that work paid off. On Wednesday night at the Visual Effects Society Awards in Beverly Hills, the Rodeo FX team (Ara Khanikian, Ivy Agregan, Isabelle Langlois, Jake Braver) took home Outstanding Supporting Visual Effects in a Photoreal/Live Action Feature Motion Picture. UPDATE: And on Sunday, February 22nd, the Best Picture Oscar went to Birdman, with host Neil Patrick Harris parodying the famous tight whitey scene during the broadcast.